Lenovo’s N20p Chromebook comes close, oh so close, to being a truly groundbreaking Chromebook. 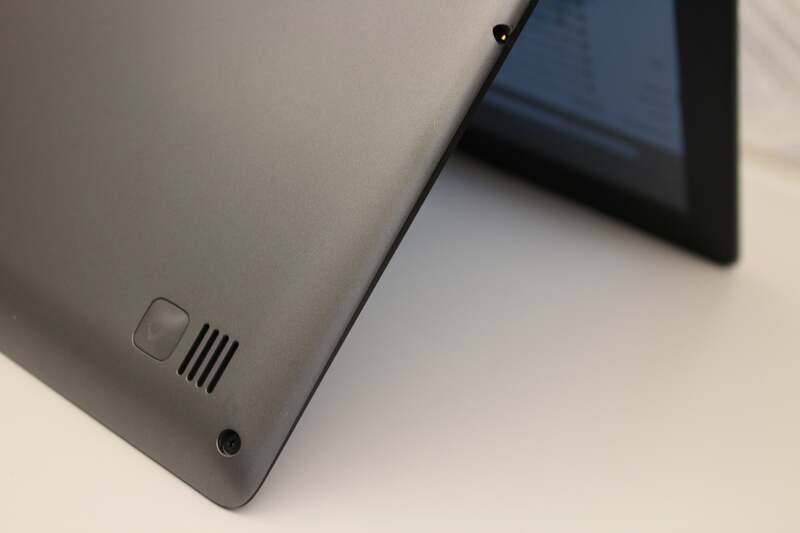 If its 300-degree hinge were to bend back juuust another 60 degrees, we’d have a Chrome-based tablet. There: I said it. 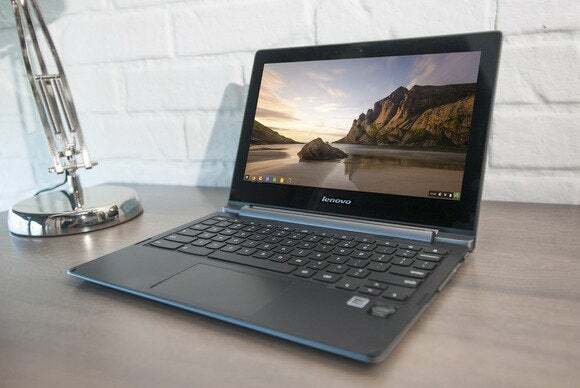 Even if Lenovo stopped short of such a daring move, the N20p Chromebook’s versatile design still puts it well ahead of all other small Chromebooks (those with 11.6-inch screens). It’s a little more expensive at $329—most of its cohort aims to stay below the $300 price point—but if you can swing it, it’s worth the upcharge. 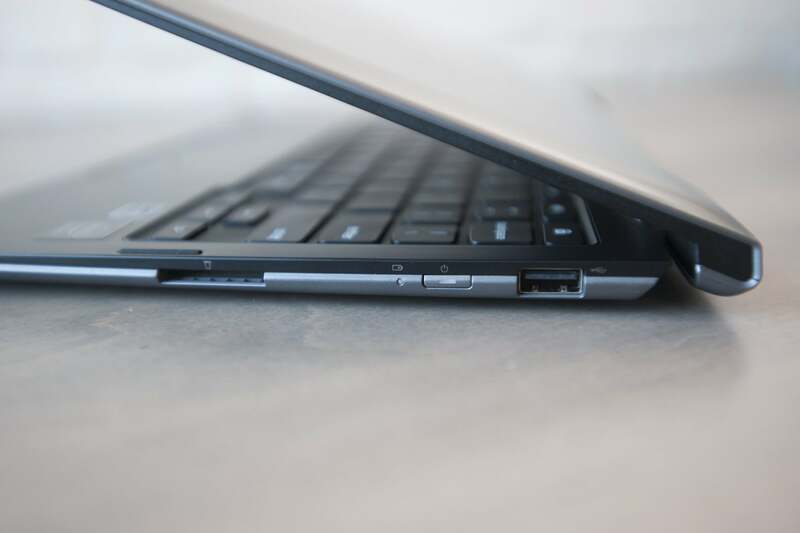 The hinge on the Lenovo N20p Chromebook allows 300 degrees of free movement, including fully flat. 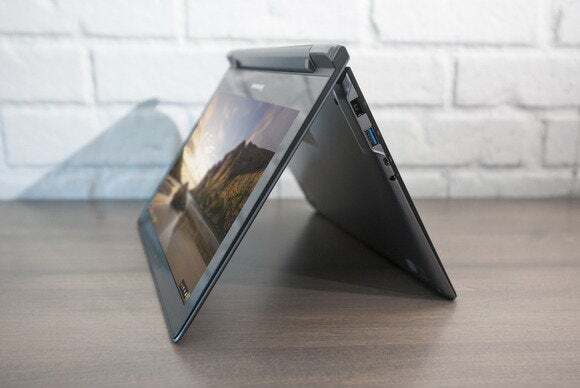 The 300-degree hinge lets you flip the N20p‘s display backward all the way into what Lenovo calls ‘stand’ mode (and others might call ‘tent’ mode), for viewing movies or showing presentations. The image flips automatically with the display, which is fun to watch. The screen also boasts 10-point touch, which is still pretty rare among Chromebooks—just Acer’s C270P and the super-expensive Google Chromebook Pixel share this trait. In any mode, you can navigate the Chrome OS easily with your fingers. If the image is flipped, a touch keyboard is automatically enabled for your typing needs—just touch in any text box, and it pops up. You can also enable the touchscreen keyboard in the settings to work in any mode. 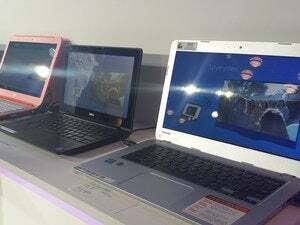 The Lenovo N20p Chromebook has an 11.6-inch, 10-point touchscreen. The 11.6-inch, LED backlit display itself is nothing special otherwise: It’s the same, old 1366x768 resolution of all other 11-inch Chromebooks. The brightness and viewing angles are middling. The shiny glass grabs a lot of reflection, which can be annoying. The performance is nothing to write home about, either. The 2.16GHz Intel Celeron N2830 with 2GB of DDR3L/1333 memory managed a mediocre PeaceKeeper score of 1355.3. This is one of two, very small speakers on the Lenovo N20p Chromebook. That's a little rubber foot next to it, that's how small it is. I was also disappointed with the sound quality from the N20p’s two puny speakers. Located underneath the chassis, the speakers get a little more air in stand mode, where they actually project toward you. Nevertheless, the sound was just as tinny and bass-deprived as is sadly the norm for sound in most small laptops. I’m just surprised that given the N20p’s video-watching talents, the audio hardware wasn’t more special as well. The battery life is very good. Lenovo promises up to 8 hours from the 34.8-watt-hour battery. Our battery test is pretty tough, but the N20p still posted a solid 6 hours before running out. The left side of the Lenovo N20p Chromebook has ports for DC power, USB 3.0, mini-HDMI, and audio. The N20p’s keyboard is one of the few on a Chromebook that I’ve actually enjoyed using. Most small Chromebooks I’ve tried have suffered from hard-plastic keys and a jarring travel that makes it uncomfortable to type for long periods. 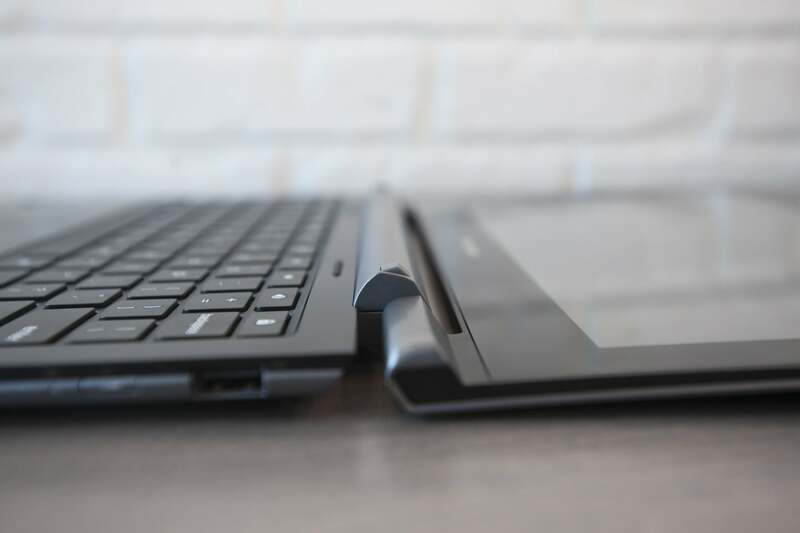 The N20p’s keys have a slightly softer feel, and the travel has a little cushion to it. On the left side you’ll find four ports: DC power, USB 3.0, mini-HDMI, and headphone/mic. 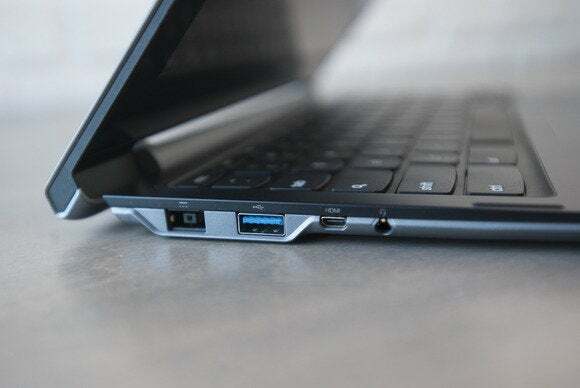 The right side of the Lenovo N20p Chromebook has an SD card slot and a USB 2.0 port. On the right, you’ll find a USB 2.0 port and an SD/MMC slot, plus the power button and the battery indicator. There’s also a 720p webcam over the display, and 16GB of onboard SSD storage. I’m on the fence about small Chromebooks. Yes, they’re affordable and portable, but the limited dimensions, especially of the display, just frustrate me. While the N20p stops short of what I’d love to have—a full, 360-degree hinge that would give me a Chrome-based tablet—it still offers more than any other Chromebook of this size. Take your run-of-the-mill 11-inch Chromebook, add a touchscreen with a 300-degree hinge, and you suddenly have a model that's a lot more versatile and interesting than most of its cohort. It's a touch more expensive, but worth it for the extra features. The battery life is good, too.